Gabriel (Peabbles) Zacchai has been writing, recording and performing original music, stories and audiobooks for over 30 years. He has recorded over 100 completed songs since 1988; 95 of which have been recorded on 8 Albums and collected works. His influences combine Neil Young, Mason Jennings and the old Bluegrass masters with the likes of Stevie Ray Vaughn, Leadbelly and the North Mississippi All-Stars. Zacchai’s repertoire ranges from upbeat and catchy folk to hard-driving soulful blues and rock. 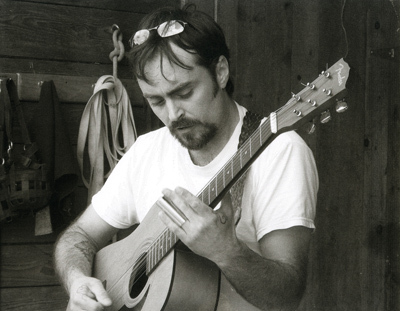 His work has been featured on WMPG, WERU and MPBN radio, as well as KXCI in Tucson, ‘IN Tune by Ten’ with Sarah Willis, and in Maine Home and Design Magazine. His audiobook narration and production work for various authors can be found on Amazon. In addition to recorded storytelling, he is the Producer/ Director of ForkTale Maine and Mid-coast Memory Theater, both live storytelling and community building projects. Gabriel lives in Mid-coast Maine with his Wife, two sons, and a time machine that you aren’t supposed to know about so don’t ask about it. Celena was born in Texas and grew up listening to Dire Straits, Jim Croce, and ZZ Top. 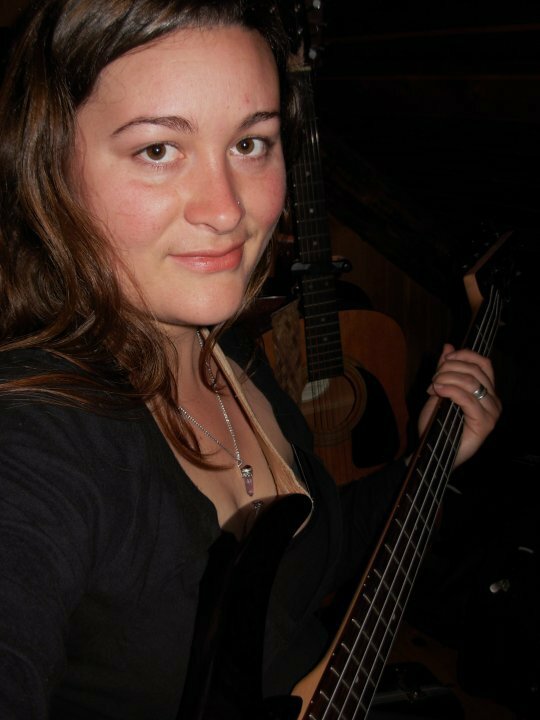 She picked up her first Bass in 2005 and learned to play it through the deadlines and demands of live performance with local bands “The Distance” and “Abilene Paradox”, eventually becoming the Bassist for the first year of performance by the Gabriel Zacchai Trio. Celena has appeared on MPBN radio, at the Common Ground Fair and contributed backing vocals for the album “Great Escape”. She is currently theupright bassist for the folk duet “RootGrass”. She lives in Mid-coast Maine with her Husband, two sons, and a time machine that you aren’t supposed to know about so don’t ask about it. Whispering Ham Productions has been turning out subversive multimedia for over 20 years. Everything Ham is imagined, written, recorded, produced and distributed by Gabriel Zacchai. Music, Audiobook production, storytelling and anything else we can think up comes to you by way of the Ham.